There's an underground buzz around Manchester now about The Backhanders with Terry Christian championing their first demo and the release of their debut single Campfire / Down By The River. Ahead of their support slot with Puppet Rebellion this weekend, Stuart Ralston checks them out. 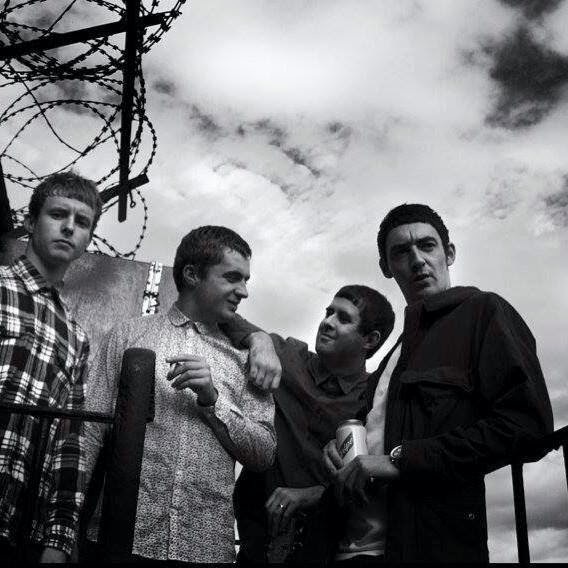 This new Manchester four piece (Stephen Chadwick, Pete Clarke, Matty Owen and Ashley Taylor) only got together at the end of last year but are already commanding respect from their peers, supporting Twisted Wheel recently and they play with Puppet Rebellion this weekend at The Deaf Institute. Terry Christian has been playing their early demo 'Memory Lane' regularly on his N.W.A. show and their new songs 'Campfire' / 'Down By The River' are attracting further attention. Lead track on current demo, the Joe Strummer influenced 'Campfire', sees vocalist Stephen Chadwick going for a full on slice of Manc swagger with a nod to very early Oasis and, surprisingly, Flowered Up. Personally, I prefer flipside, the more reflective 'Down By The River'. A catchy slice of pure pop. "I went down by the river because I've got to get away. I've been drinking all night and I don't want to drink all day" sings Chadwick. Here, the band are showing some The La's, The Stairs, or even some Stones influences and that's no bad thing. This is a classic piece of pop, running at just over 2 minutes. On the strength of this, and early demo 'Memory Lane' The Backhanders could easily become a classic singles band, as long as they don't try too hard to fit every idea into every song. Definitely a band to watch out for. The Backhanders are on Facebook and Twitter. They support Puppet Rebellion at the Deaf Institute in Manchester this Saturday, June 21st.